By the time of his death in 323 B.C., Alexander III of Macedonia had built an empire that stretched from the eastern Mediterranean coast through Asia Minor and into the Indus valley. Even before his sudden death, Alexander had achieved mythical status throughout his kingdom, and in the centuries that followed his life became the subject of countless chronicles and biographies. N. G. L. Hammond, the foremost expert on ancient Macedonian history, here presents a new account of Alexander's fabled career. 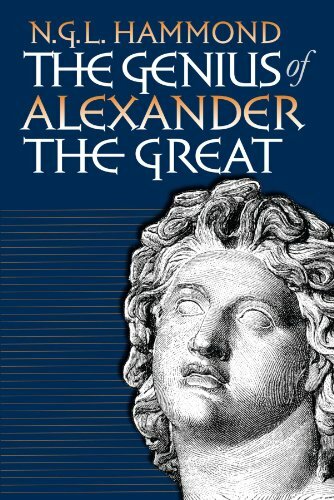 Based on a thorough analysis of the ancient sources and enriched by a lifetime of research, Hammond's narrative pronounces the Macedonian conqueror a man truly deserving of the title Alexander the Great. According to Hammond, Alexander was a visionary statesman and general, the force behind a kingdom which rose above racism and nationalism to enjoy peace and prosperity. His intellect and charismatic personality, which earned him the respect, admiration, and devotion of his subjects, also help explain Alexander's endurance as a source of fascination into the present day.